Bryan brings a large amount of experience and knowledge to Ashton Mitchell from his time spent in large multi-disciplinary practices. He strives for quality and enjoys bringing this attitude into the offices documentation. Bryan is interested in bridging the gap between the clients and offices design aspirations into the built form that is constructed. 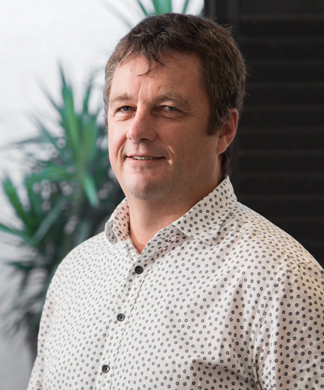 Bryan started his professional life in Auckland before working in America, and the UK for 14 years. Ten of which he ran his own successful commercial interior design company with his wife. Bryan with his family returned to Auckland eight years ago to give his kids the opportunity to take advantage of all that our unique country has to offer.